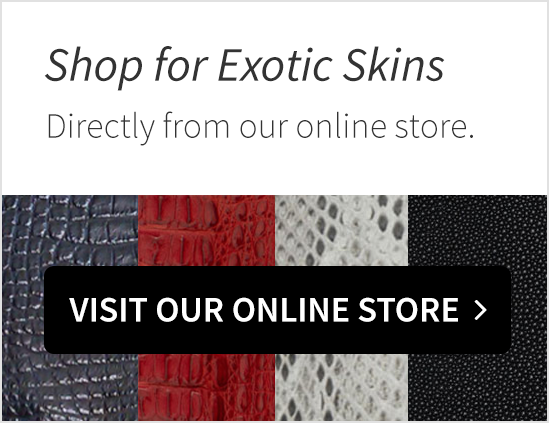 We have been in the exotic leather business since the 1950s. All of that experience gives us a huge advantage, but the industry is changing faster than ever and the future will look very different. Thanks largely to the incredible team we have built over the years, we have been at the forefront of shaping and building that future. Hopefully, you can be a part of that team. The opportunities are as diverse in the type of work (from farms to factories to showrooms) as they are in the geography (we are spread across several cities in three continents). We always look for the work that makes you the happiest and maybe that’s why our average employee stays with us for over 20 years. The work environment is casual and constructive – we don’t want to choke out creativity with dress codes and other formalities, but we expect a basic level of respect for the other members of our team internally and our partners externally (customers, vendors, etc.) Everyone has regular access to top management, so everyone’s ideas are heard and decisions can be made efficiently. We have a small, effective team and we communicate expectations and results clearly, so the fruit of your labor trickles down fairly and transparently. We are looking for people who are as comfortable in a boardroom as they are on a factory floor. No job is too big or small for anyone. We have a small, effective team which means people wear multiple hats. At PAL, you will find owners serving coffee and new hires at meetings with customers. It’s all part of building something together. This is typically a better fit for the true entrepreneurial, hands-on, self-starter types.If you are familiar with our company and this sounds like you, please browse Current Openings below. As the Assistant Showroom Manager in our NYC flagship, you partner with the showroom manager to help customers, organize showroom display, manage and quality control inventory, pack and ship online orders and assist with other basic store operations. Technically, you should be experienced in Excel and Powerpoint.